We have a good news here…nana’s summer major update is here! Yay!! 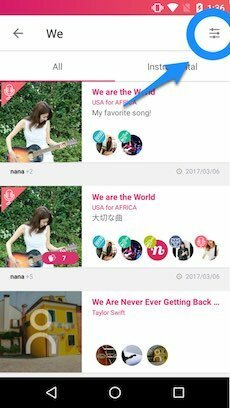 There are tons of new features in our latest version of nana in both Android and iOS, so lets see them in details! 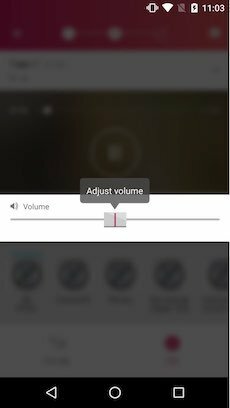 The main change for iOS is that tabs are indicated on the top to show where you are now instead of the dots we previously had. 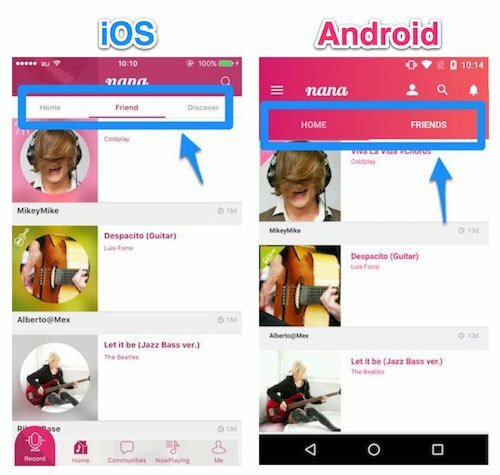 For Android, the tabs are simplified into 2 views of ‘Home’ and ‘Friends’. 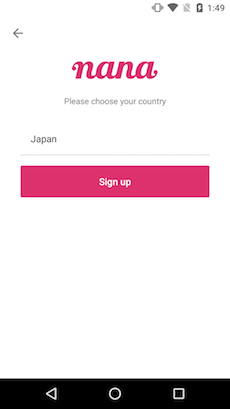 *You also can register your nationality/country of residence from this update. 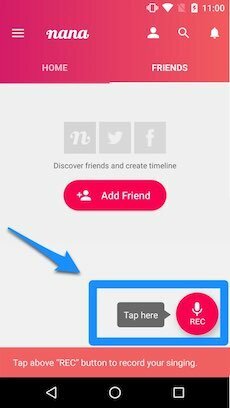 This will help your track feed to be optimized from our further updates! 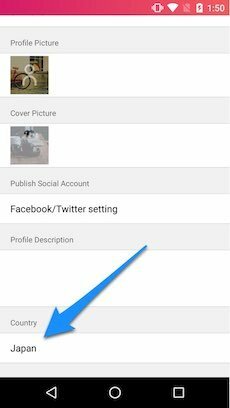 If you are already registered user, you can setup or change the country from Profile(Me)>Settings! Tutorial + First step aid! 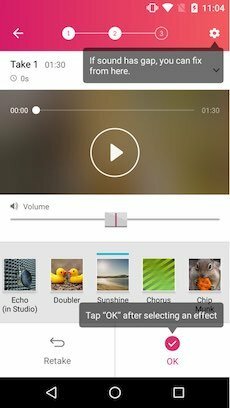 One of our newest feature is this one. 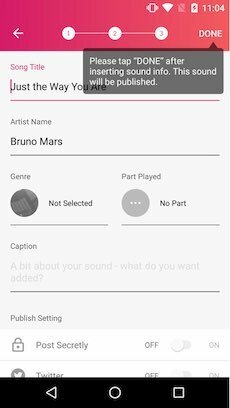 We have added tutorial flow for our new nana-versal citizens! 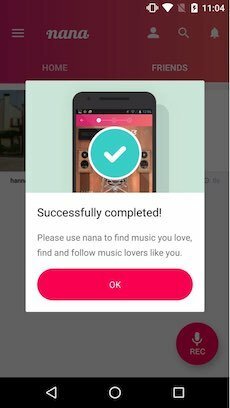 The tutorial follows step by step to help the new user to post their very first memorable track on nana. 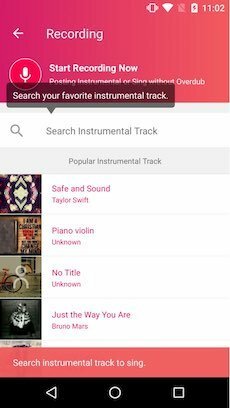 In addition to that, we have added the recommended instrumental list which appear after tapping the record button. 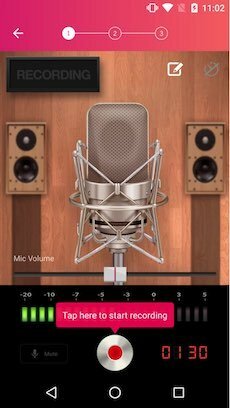 Popular instrumental sounds will be displayed allowing you to get on with recording more smoothly for the first time! 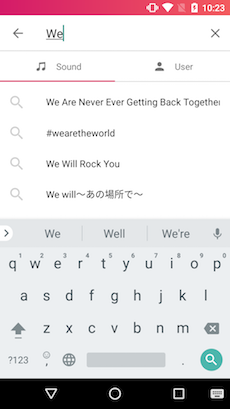 The update comes into searching experience as well! 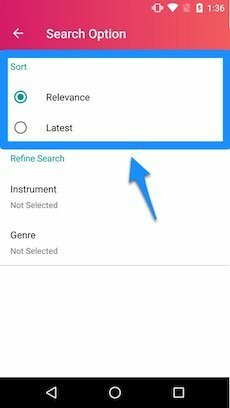 Search categories are divided into ‘Sound’ and ‘User’ for more simplified and easier searching! You can now search multiple keywords by inserting a space in between, like [ 'Song-Name' (space) 'Artist-Name' ]. 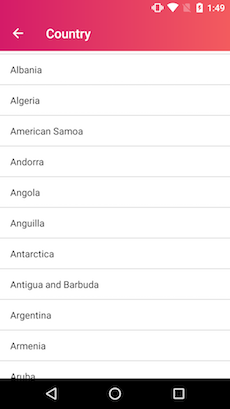 Also we have updated the sorting and filtering of the search results. Now you can sort the search result by ‘Relevance’ or by ‘Latest’. 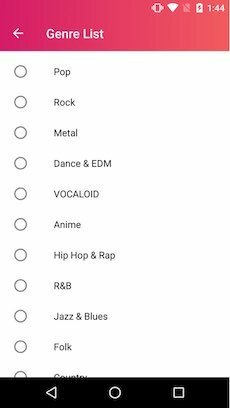 Originally we had the sorting by latest posted tracks, but having our system improved, now you can sort in order of sound sources that match your requested keyword most. 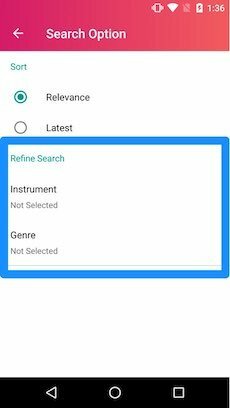 For filtering part, you can filter the search result by ‘Instrument’ and ‘Genre’. 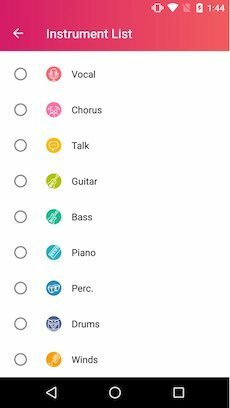 If you are looking for particular parts for collaborating, then you can use ‘Instrument’ (Part Icon) filter to find the best collaborating partner! 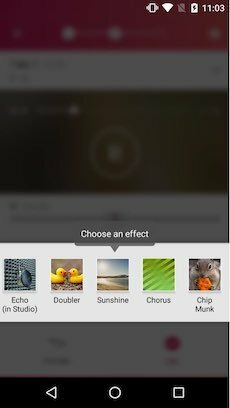 Android users already have this, but we’ve added a memo function for iOS too! 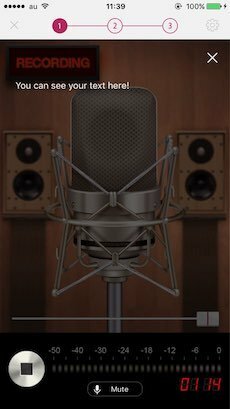 You can input text on the recording screen, and display it while recording. 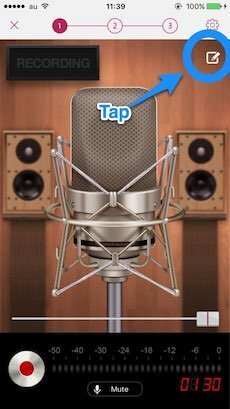 Write down some important notes to help improve your recording! Get tuned up with the newest version of nana! 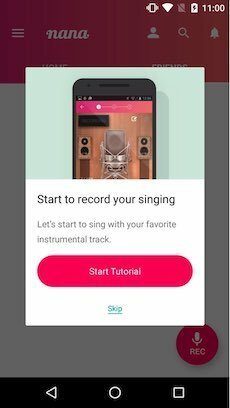 Hope you enjoy our latest version! We strive to make each release better than the last so your feedbacks are more than welcome. 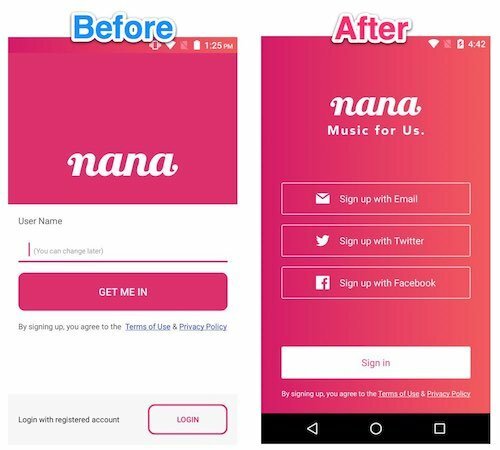 Just leave us a message via "Feedback" in "Settings" or support@nana-music.com. Your feedback is highly appreciated and we take your request into serious consideration.